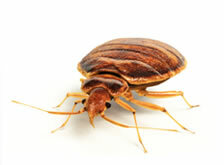 Check for bed bugs BEFORE they strike! Bed bugs are found in homes, apartments, dorm rooms, hotel rooms, airplanes, public transit seats, cars and moving vans – pretty much anywhere they can find a human host. Bed bugs attach themselves to clothing and other belongings and are (unknowingly) transported to new locations. Bed bugs are known to carry at least 27 agents of human disease, including the drug-resistant bacteria (or “superbugs”). The Bird-X bed bug alert is a small plastic detection device which contains a proprietary attractant gel that actively lures and traps bedbugs, if they are present. Simply place under the mattress or anywhere bedbugs are	suspected, and monitor daily to detect problems before an infestation takes hold. Bedbugs hide away in cracks and crevices, making them hard to detect. Clear, safe, rigid plastic monitoring device slips between mattress and frame. The special gel attracts and traps bedbugs if they are present – alerting you to their presence before it’s too late! Uses: Hotels, motels, backpackers, hostels, homes, apartments, flats, holiday homes, nursing homes, dorms, clothing stores, hospitals, rest and retirement homes and many more. 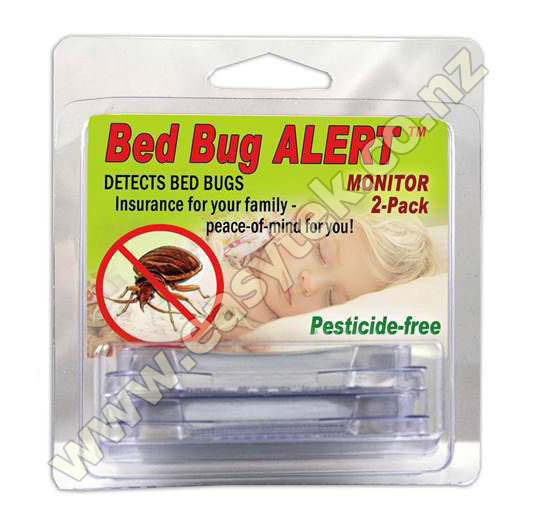 Bird-X Bed Bug Alert 2-pack reviewed by Katy B., CHRISTCHURCH on 2016-03-09 .
thank-you, product seems great. only concern is that when trapped, bug may send alarm and scatter other bugs. you say on your website " Bed bugs are known to carry at least 27 agents of human disease, including the drug-resistant bacteria (or “superbugs”) - BUT this is very misleading because they are not known to actually TRANSMIT any diseases (except very slight chance of some very obscure viruses) due to their biology. 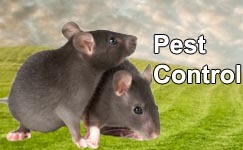 (they can cause many problems due to itching though, and bites may become infected if itched, etc). Up to 60% of people may have no reaction, which could help explain why they can established so thoroughly sometimes without people realising.